When you think beauty and skin care products, what texture do you think of? Usually powder, liquid, or cream, right? But there’s a whole other phase of matter that has planted itself firm in the beauty sphere: solid. Primers, fragrances, serums, and more have seized the opportunity to make practicality an art form. What they lack in viscosity, they make up for in convenience. 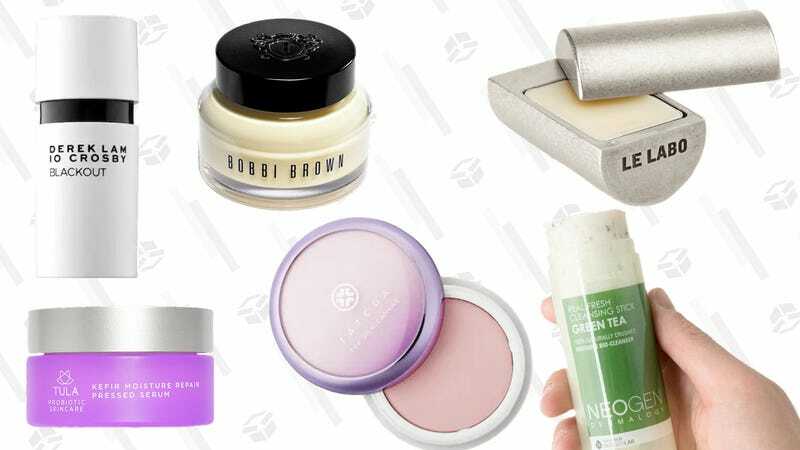 Travel- and user-friendly, solid beauty products should definitely be peppered into your beauty routine.